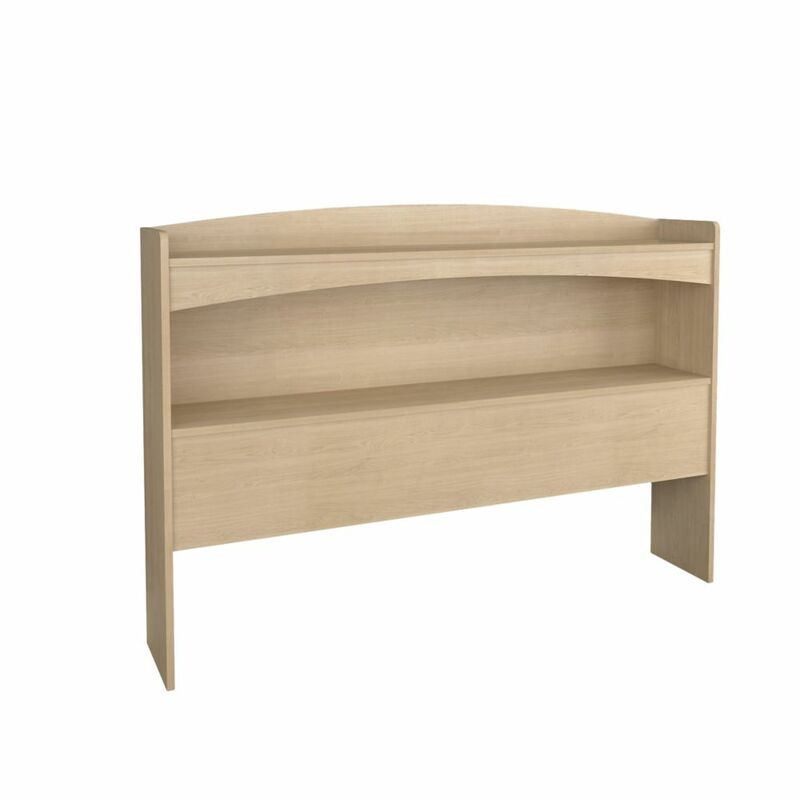 Alegria Full Size Bookcase Headboard adds handy storage and complete the look of Alegria Twin Size Storage Bed #5654. Alegria Collection from Nexera is a timeless and functional collection offered in a rich Natural Maple finish with hardwood knobs. Get big storage in any bedroom with the Full/Queen Tall Slant-Back Bookcase Headboard. Boasting a unique design that will complement your existing dicor, this headboard offers maximum storage space while taking up minimum floor space. Fill the eight storage compartments with bedside books, knick-knacks and whatever else you can fit in their various sizes. This free-standing product is designed to be paired with any full or queen bed including our Mates Platform Storage Beds and our Tall Captains Platform Storage Beds. Finally, a place to store and display your books, alarm clock and picture frames! Designed to suit any dicor, the Full/Queen Bookcase Headboard adds three compartments of storage to your bedroom. A freestanding product, the Bookcase Headboard is designed to be paired with any full or queen bed including the Full and Queen Mates Platform Storage Beds. Add stylish storage space to your bedroom with the King Bookcase Headboard. Designed to complement any dicor, this headboard comes with six storage compartments for your bedside necessities and accessories. The varying compartment sizes add visual appeal and give you display options for large and small items. A freestanding piece, it's designed to be paired with any standard king bed including the King Mates Platform Storage Bed. Alegria Full Size Bookcase Headboard Alegria Full Size Bookcase Headboard adds handy storage and complete the look of Alegria Twin Size Storage Bed #5654. Alegria Collection from Nexera is a timeless and functional collection offered in a rich Natural Maple finish with hardwood knobs.